Coca-Cola European Partners chose Varna for the location of its newest financial office. It will be open in May 2019, with over 90 jobs open. The new jobs in Varna will complement the 700 existing positions that the Coca-Cola European Partner team has in Sofia. The office in Varna will undertake a number of tasks in the area of ​​financial shared services, which will support the already existing roles and responsibilities of the office in the capital. The company says it has chosen the sea capital for a number of reasons, including the rich set of young specialists and the communication of the city. New jobs require financial skills and knowledge of foreign languages, and Varna is becoming a desirable destination for shared service centers. Coca-Cola European Partners is a bottling company of Coca-Cola products for 13 European countries in Western Europe, including Andorra, Belgium, France, Germany, Great Britain, Iceland, Luxembourg, Monaco, the Netherlands, Norway, Portugal, Spain and Sweden. 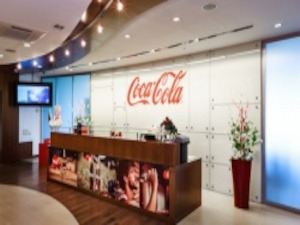 Coca-Cola European Partners does not handle direct products or sell in Bulgaria, but as well as the bottling company for Bulgaria and the region - Coca-Cola Hellenic Bottling Company, the company is developing its hub for financial services in the country. 2019 will be the year of the maturing of the property market and the accumulation of all effects from the previous years of catching up. The year will be surprisingly positive for the real estate market and for the economy as a whole, with the realization of new projects in a reasonable time, says Polina Stoykova, CEO of BULGARIAN PROPERTIES, in an interview for Investor.bg. Thirteen beaches in Bulgaria and one marina have been awarded the world Blue Flag certificate for meeting stringent standards for quality, safety, environmental education and information, the provision of services and general environmental management criteria.